Wayfarer by Serino Cigars - Buy Premium Cigars Online From 2 Guys Cigars . The Wayfarer blend was first conceptualized on a three week backpacking trip Carson Serino took to Iceland. While abroad Carson was searching for cigars because what’s a good adventure without a fine smoke. Upon visiting shops in the Nordic country he quickly realized the selection was small and mainly consist of the Cuban staples. Over the following weeks his love for the Cuban profile was reignited. Upon returning stateside he quickly booked a trip to the La Corona Factory in Nicaragua to begin the Wayfarer blending project a documentation of all his favorite cigars from the trip. Wayfarer was blended in three traditional Cuban vitola’s with each vitola using unique Cuban style caps. 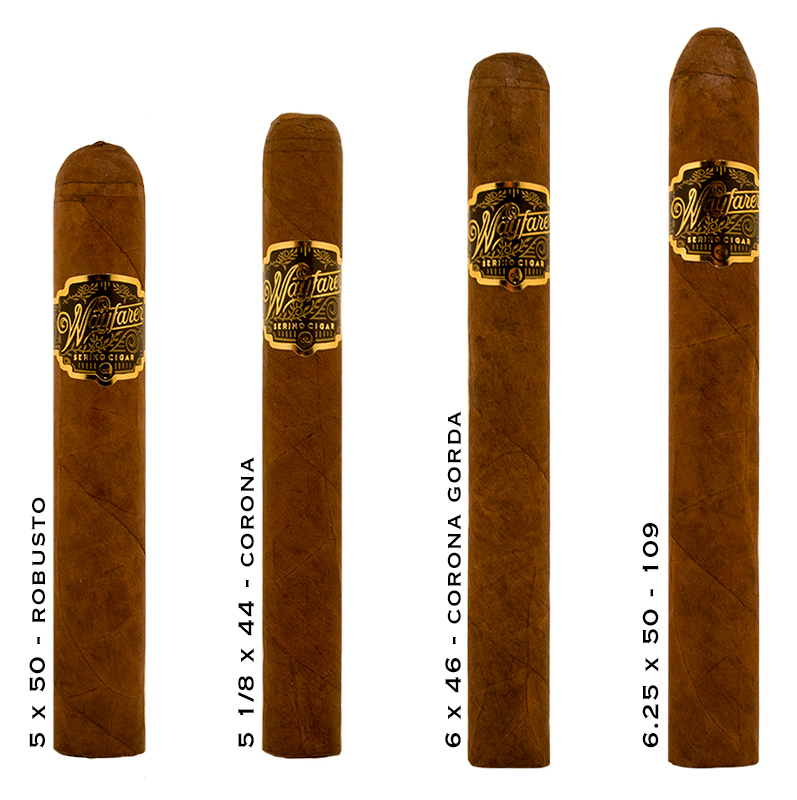 The Corona Gorda sports a triple cap, the Robusto a Perilla cap, and the Toro uses a 109 cap. The blend consists of Esteli and Jalapa, Nicaragua fillers and is garnished in an oily Ecuadorian Corojo ‘99 wrapper. Wayfarer — Take The Journey.